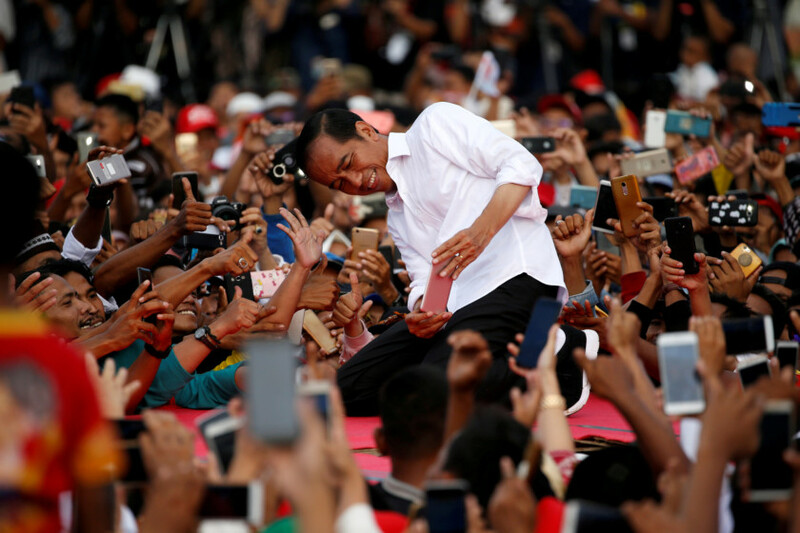 When Joko Widodo, or “Jokowi”, was elected president of one of the only true remaining democracies in the region it was a moment of triumphant vindication — proof that outliers could trump an entrenched oligarchy, that an ordinary Indonesian could make it. The hype was even more exaggerated because of the stark contrast to his opponent, Prabowo Subianto. A former military general accused of human rights abuses and the former son-in-law of dictatorial ruler Suharto, Prabowo epitomised the autocratic old guard, still vying for power decades on. Fast forward five years and Jokowi and Prabowo will again compete for the presidency of the world’s third-largest democracy on April 17, but this time the mood is vastly different. Within two months of taking office in 2014 the new president unexpectedly signed off on a round of capital punishment, citing questionable data to justify his claim Indonesia was in the throes of a “drug emergency” — a shock move from a leader seen as the best hope in decades to resolve a pandora’s box of past rights abuses. Analysts said that if Jokowi had offered clemency, he would have been seen to be bowing to international pressure — political capital he was at the time unwilling, or unable, to squander. On the streets though , Jokowi still commands widespread support and in the polls he is more than 15 points in front of Prabowo. Voters also point to his investment in the national health insurance scheme and education for the poor. But that is only part of the picture. Jokowi’s campaign tagline this year is “Indonesia maju” meaning “Indonesia advancing” — but many political analysts wonder: advancing to where? The March arrest of a sociology professor after he sang a famous song critical of the military — in protest over a Suharto-esque plan to move military officers into civil institutions, sent a chilling sign. To Indonesia’s dynamic civil society, the arrest and subsequent charges sparked fears that democratic freedoms, hard won since the fall of Suharto, were now under threat. It is the latest in what some see as a perturbing trend, with a coterie of opposition figures arrested, charged and in a few cases jailed in the past two years, concerns have been raised that Indonesian police are becoming increasingly partisan — a charge the government denies. Leading up to this election the police have blocked several “ganti president” or “change the president” rallies, citing security or regulatory reasons — helping to stymie opposition momentum. Prabowo, a former special forces commander and son of a Suharto-era economics minister, has softened his image of late — there is now an Instagram account for his cat Bobby, in which he occasionally features. 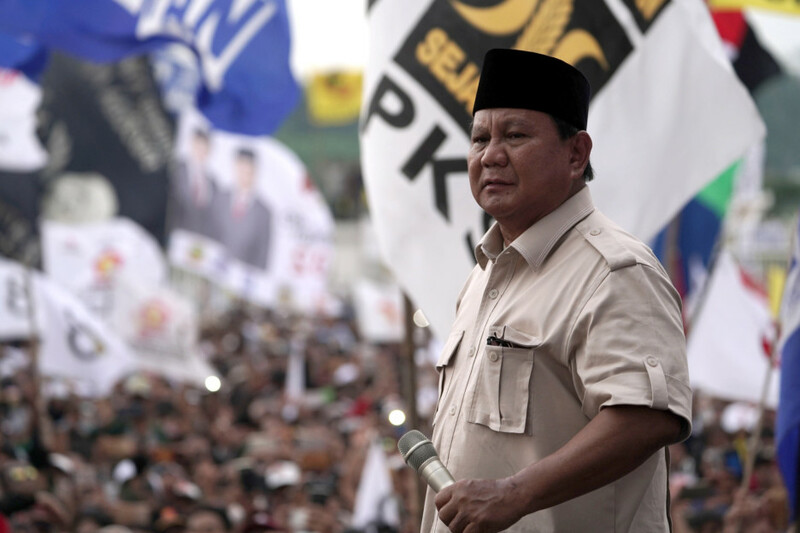 But Prabowo has courted Islamic hardliners, reportedly signing a pact to promote a conservative Islamic agenda if he wins. Jokowi has similarly sought to boost his Islamic credentials. He controversially chose Ma’ruf Amin — a deeply conservative Islamic leader who has supported fatwas against LGBT, religious minorities and yoga — as his running mate. Facing a choice between Jokowi and Prabowo, some have vowed to “golput”, or not vote at all — a position that for many would have been unthinkable in the last election between the same two men.